In honour of the recently canonised Saints at the Vatican –St. Chavara and St. Euphrasia, a celebration was organised by the Catholic Community of Madhya Pradesh on 18th January 2015 at BHEL Ccarmel School Premises. Both the Saints from Syro-Malabar Church in Kerala were canonised by Pope Francis on November 24, 2014 in Vatican. More than ten thousand s of Christians attended and witnessed the function SANTH SAMAROH. The Program commenced with the Holy Mass presided over by Archbishop Salvatore Pennacchio, Apostolic Nuncio to India. His Grace Most Rev. 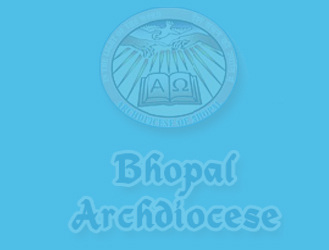 Leo Cornelio SVD, the Archbishop of Bhopal, Spoke about these two Indian saints are perfect models “to be imitated” by people all over the world. They were not only devoted to God, at the same time they actively helped the needy, he added. He also said, “Devotion and Action were inseparable aspects of the lives of these two Saints. The love of God inspired them to love the people who are created as an image of God. A public gathering followed the holy Mass which was presided over by the Minister of State for School and higher Education Honourable Deepak Joshi. He praised Christian Community for their educational and charitable contributions towards society. Addressing the august gathering, Archbishop Salvatore Pennacchio spoke how the saints’ lives give an insight into leading an ideal life. It also presents challenges for people to strive and lead an ideal life. Sant Samaroh Saw presented many dance dramas on the lives Saints. Fr. Kurian CMI welcomed the guests and Sr. Noel CMC proposed the vote of thanks.